Mexico is set to become a global economic powerhouse in the coming years and has earned a place in Goldman Sachs’ “MIST” moniker, referring to four of the largest emerging markets. However, a number of questions remain about the emerging country’s controversial political system, specifically in respect to the strengths and weaknesses of the newly elected president Enrique Peña Nieto. His December 1 inauguration marked the presidential reemergence of the controversial Partido Revolucionario Institucional (PRI), which ruled the country for most of the 20th century. Before losing to Vicente Fox’s Partido Acción Nacional (PAN) in 2000, the PRI occupied Mexico’s executive office for 71 years, a time in which the quasi-authoritarian regime appeared to be synonymous with corruption. Therefore, when protesters chanted “Mexico without PRI!” during Peña Nieto’s December 1 inauguration, it became clear that the party’s mixed legacy was not entirely forgotten. Since the inauguration, Peña Nieto and members from opposition parties Partido Acción Nacional and Partido de la Revolución Democrática (PRD) have signed the president’s “Pact for Mexico.” This 34-page tri-partisan agreement not only designated reforms affecting the country’s overall economy, security, and social welfare, but also appeared to unite Mexico’s opposing political forces in record time. Furthermore, Peña Nieto’s success as governor of the State of Mexico from 2005 to 2011(a key component of his presidential campaign that probably won him the election) demonstrates his ability to follow through on his campaign promises. On the other hand, it is important to question whether the pact is a mere marketing ploy for the signatories or a response to the inaugural protests. Both the positives and negatives need to be weighed in order to assess the viability of the pact and understand what appears to be an impressively cooperative political climate. As a testament to his highly charismatic persona, Enrique Peña Nieto became one of the State of Mexico’s youngest governors in 2005 at the age of 39. Although his dynamic character helped, it alone was not enough for him to win the impressive post, nor formulate the popularity surge to account for his victory. 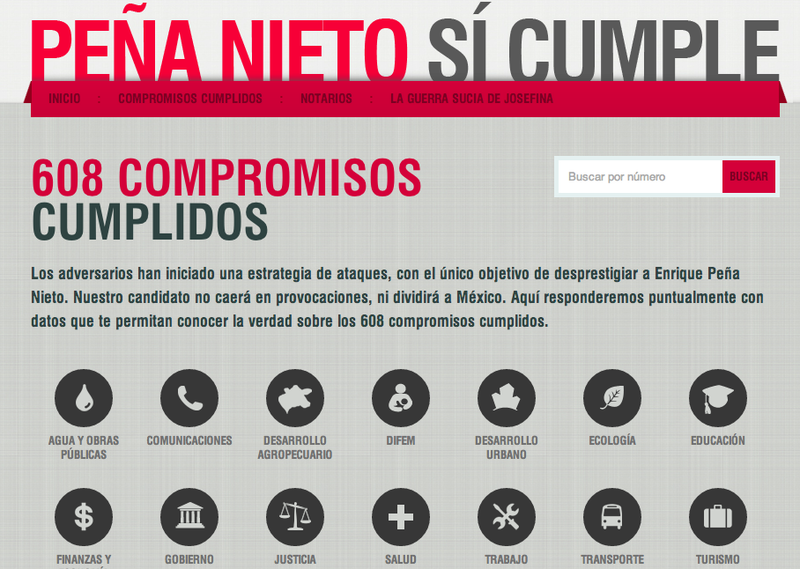 During Peña Nieto’s campaign, his team used the slogan “Te lo firmo, y te lo cumplo,” or “I will sign, and I will deliver.” He was referring to 608 commitments he made during his gubernatorial campaign, which included the improvement of water and public works, with an emphasis on road construction and health care development. The day before making his candidacy for the presidency public, Peña Nieto claimed to create “a new philosophy of governance,” after fulfilling his commitments to the people of the State of Mexico. 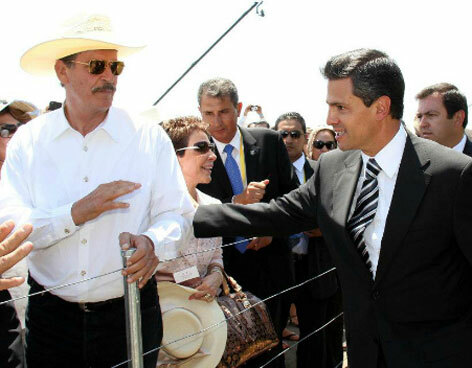 Moreover, throughout his presidential campaign, he continued to stress that he recognized his party’s past failures and that he intended to carry with him into office a reconfigured PRI. Although this statement may have been politically motivated, it was important for Peña Nieto to address his party’s history of corruption in front of the Mexican people. Ultimately, Peña Nieto’s voluntary recognition of his party’s previous failures, commitment to a new PRI era, and distinguished record of governance demonstrate his political will to follow through on his 95 promised reforms as outlined in the Pact for Mexico. The agreement includes reforms to the judicial system, national security, education system, and energy and business sectors, with an emphasis on increasing competition in the latter two. In terms of security, Peña Nieto has stressed moving away from targeting cartel “kingpins,” but plans on continuing Calderón’s strategy of using the military to improve internal security. By all accounts, leaders from PRI opposition parties (namely PAN and PRD) have agreed to the Pact for Mexico’s terms. As result of shared economic goals, it was unsurprising that PAN members signed the pact. On the other hand, signatures of agreement from Mexico’s politically left PRD shocked many Mexican political analysts. PRD presidential candidate, Andrés Manuel López Obrador, was runner-up in the recent election, in which he claimed a PRI vote-buying scheme as the reason for Peña Nieto’s victory. Regardless, the opposition signatories mark the pact as a tri-partisan agreement. 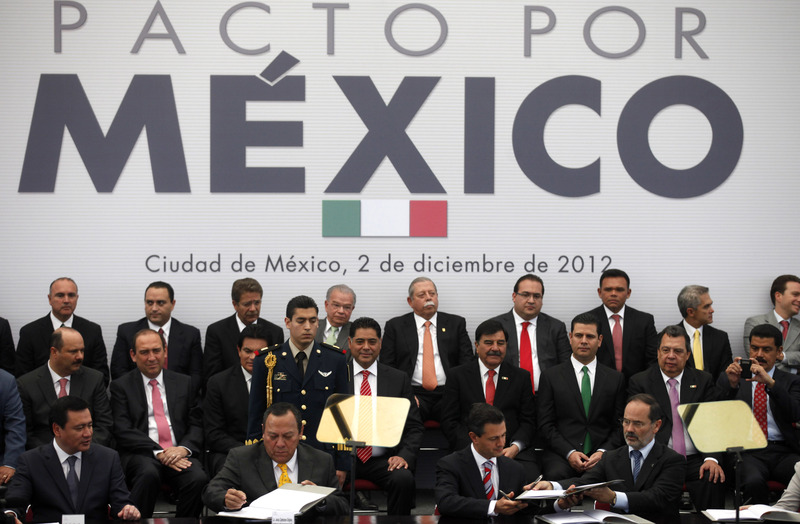 However, the “Pact for Mexico” is not without serious long-term systemic concerns. First, the pact is a non-binding agreement. As a result, this may be a superficial way for the country’s three largest parties to show their public willingness to work together. As soon as the parties are confronted with something they do not approve of, they can withdraw from the pact with no legal repercussions. Although Peña Nieto has demonstrated his willingness to keep commitments in the past, the opposing parties have yet to demonstrate a similar will to fulfill political promises. Furthermore, the decision to sign the pact was not unanimous within the opposition parties, even with its non-binding nature. PRD President Jesús Zambrano indicated that signing the pact was “a risk worth taking,” as he asserted, “no single political force can push through their proposals or resolve the grave problems facing the country.” On the other hand, PRD Secretary General Alejandro Sánchez Camacho said that Zambrano’s signature was a personal choice, and did not demonstrate the desire of the entire party for the tri-partisan arrangement. 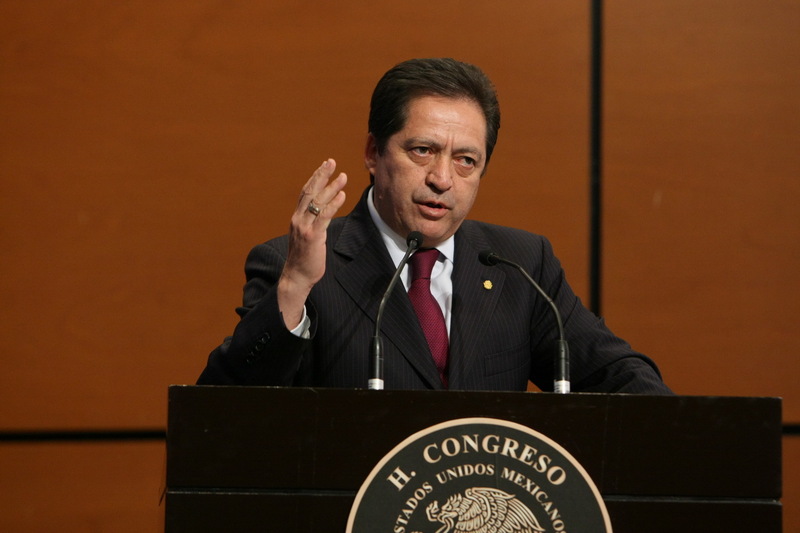 Additional concerns relate to Peña Nieto’s December 7 budget proposal. Presented to Congress by Finance Minster Luis Videgaray, the budget emphasizes “zero deficits – excluding investment in state oil company Pemex – and fiscal responsibility.” His budget includes a 2.3 percent increase in spending, which is to be offset by tax and oil revenues. On the surface, this proposal does not appear to have encountered any problems. On December 12, the income portion of his proposal was passed, and as a result, projections of oil prices increased from $84.90 to $86 USD per barrel. This per-barrel oil increase will boost government revenues by 4.8 billion pesos, bringing the total to an estimated 23.8 billion pesos in government revenues in 2013. The additional revenues will come from “more effective tax collection,” referring to the 30 percent maximum income tax rate, rather than allowing it to drop to 29 percent. According to the head of the lower house finance committee, José Isabel Trejo, who is also a PAN member, such a rate will be “very controversial.” Trejo explained “[the proposed budget] is hitting all business operations…that’s 23 billion pesos in the public coffers, but it’s also 23 billion pesos less in the pockets of individuals.” Although Trejo did not blatantly criticize Peña Nieto’s budget, only referring to it as “controversial,” his comments are nonetheless questionable. First, this increase in government revenue is required to pay for the reforms outlined in Peña Nieto’s “Pact for Mexico,” a document that PAN members were so eager to sign. Trejo failed to mention that these increases are needed to improve the country in a variety of ways, only labeling the increase in taxes as ‘controversial.’ Second, this new revenue totaling 23.8 billion pesos reflects revenues from both oil and taxes, 4.8 billion of which was projected after he made these comments. Clearly, the math does not add up, as the projected total is not solely generated by taxes. By no means should Trejo have dismissed the controversial nature of his budget, but at the same time, he should have at least explained why such revenue increases are in the country’s best interest. If Trejo’s statements are foreshadowing Mexico’s political dynamic, then Peña Nieto’s reforms will not be easily implemented. Congress is required to approve the rest of the budget by December 31. Peña Nieto’s political hurdles may not only include negotiations with the PRD and PAN, but within his own party as well. Passing Mexico’s recent labor reform bill took considerable negotiation as a result of PRI’s strong union ties. The bill’s passage “allows hourly wages for a maximum of eight hours per day, temporary hires, subcontracting, employment trial periods of up to six months, and 10 days paid paternity leave.” However, the bill was only passed after “forgoing strong union transparency and accountability measures,” at the hands of the PRI and PRD. So even though Peña Nieto claims to be committed to a new PRI, it appears as though at least some members of his party are being pulled in different directions. Furthermore, many of Peña Nieto’s reforms will lead Mexico into a pro-business environment that will depend on increasing competition within certain sectors. As a result, questions remain about how the PRI’s strong union ties will affect these reforms, since union bosses will not view dissolving state-run monopolies favorably. The people of Mexico can only hope Peña Nieto is a member of a “new and uncorrupt PRI,” a faction that focuses on bringing the country to its full economic potential. Regardless, questions remain regarding the pact’s plausibility. As a non-binding agreement, members from the PRD and PAN may have entered the consensus superficially, only to demonstrate their respective parties’ willingness to work with opposing political forces. A worst-case scenario would be to have Peña Nieto himself riding on the coat tails of his gubernatorial success, without any real intention of following through on his 95 commitments. Although this is unlikely given his past faithful record of performance, a number of issues remain concerning the pact’s viability. The coming months and years of Peña Nieto’s tenure in office will demonstrate the political will of the PRI, PRD, and PAN. Additionally, partisan ties may stunt Mexico’s economic progress, especially in respect to Peña Nieto’s aforementioned plans that call for increasing competition in certain sectors. In any case, it is important that politicians from these three parties realize that their actions will shape their perceptions in the future, as demonstrated by the December 1 inaugural protests, even if they have a leader as charismatic as Peña Nieto. Jim O’Neill of Goldman Sachs coined the term “BRIC” countries in 2001, referring to Brazil, Russia, India, and China. In 2011, “MIST” countries came from Goldman Sachs’ N-11 equity fund, representing the four largest markets: Mexico, Indonesia, South Korea, and Turkey. Refer to: Eric Martin, “Goldman Sachs’s MIST Topping BRICs as Smaller Markets Outperform,” Bloomberg, August 7, 2012, http://www.bloomberg.com/news/2012-08-07/goldman-sachs-s-mist-topping-brics-as-smaller-markets-outperform.html. AFP, “Clashes in Mexico before president’s inauguration,” December 1, 2012, http://www.afp.com/en/node/742260. Luis Pazos, “Leaders of the PRI, PAN and PRD sign a new ‘Pact for Mexico’” Mexidata.Info, December 12, 2012, http://www.mexidata.info/id3520.html. Yann Kerevel, “Enrique Peña Nieto’s Record as Governor of Mexico State,” Americas North and South, May 15, 2012, http://americasouthandnorth.wordpress.com/2012/05/15/enrique-pena-nietos-record-as-governor-of-mexico-state/. Laura Islas, “Los compromisos de Peña Nieto, año por año,” El Universal, August 31, 2011, http://www.eluniversaledomex.mx/toluca/nota21395.html. Adam Thomson and John Paul Rathbone, “Peña Nieto’s track record is the question,” Financial Times, June 29, 2012, http://www.ft.com/intl/cms/s/0/79e33a70-c1f3-11e1-8e7c-00144feabdc0.html#axzz2FKWHscS5. Guillermo Zepeda, “Executive Summary of the General Report: Monitoring the Implementation of Criminal Justice Reform in Chihuahua, the State of Mexico, Morelos, Oaxaca and Zacatecas 2007-2011,” Justice and Security Program of USAID/Mexico. Peña Nieto quoted and translated from “Los Compromisos Cumplidos Significan Seguridad Integral Para Los Mexiquenses: Peña Nieto,” G7 Magazine, http://www.g7magazine.com/index.php?option=com_content&view=article&id=1549%3Alos-compromisos-cumplidos-significan-seguridad-integral-para-los-mexiquenses-pena-nieto&catid=7%3Aoficial-edomex&Itemid=8&lang=es. Taylor Dibbert, “Enrique Pena Nieto and Mexico’s Drug War Opening,” Foreign Policy in Focus, December 4, 2012, http://www.fpif.org/articles/enrique_pena_nieto_and_mexicos_drug_war_opening. Geoffrey Ramsey, “Mexico’s President Unveils ‘New’ Security Strategy,” The Pan-American Post, December 18, 2012, http://panamericanpost.blogspot.com/2012/12/mexicos-president-unveils-new-security.html. “With a little help from my friends,” The Economist, December 8, 2012, http://www.economist.com/news/americas/21567941-new-president-believes-he-has-broad-political-agreement-change-his-country. Duncan Tucker, “Major parties sign president’s ‘Pact for México,’” The Guadalajara Reporter, December 7, 2012, http://www.theguadalajarareporter boutique.com/news-mainmenu-82/national-mainmenu-86/32188-major-parties-sign-presidents-pact-for-mexico.html. Nacha Cattan & Eric Martin, “Mexico’s Pena Nieto Proposes Balanced Budget for His First Year,” Bloomberg, December 8, 2012, http://www.bloomberg.com/news/2012-12-08/mexico-s-pena-nieto-proposes-balanced-budget-for-his-first-year.html. James Young, “Mexico Congress Set To Pass Revenue Bill, Ups Oil Price to $86,” Deutsche Börse Group, December 12, 2012, https://mninews.marketnews.com/index.php/mexico-congress-set-pass-revenue-bill-ups-oil-price-86?q=content/mexico-congress-set-pass-revenue-bill-ups-oil-price-86. Juan Manuel Henao, “Mexico’s Lower Chamber Passes Labor Reform,” Americas Quarterly, November 26, 2012, http://www.americasquarterly.org/Mexicos-Lower-Chamber-Passes-Labor-Reform. Enhanced Reciprocity for the U.S.-Mexico Relationship?